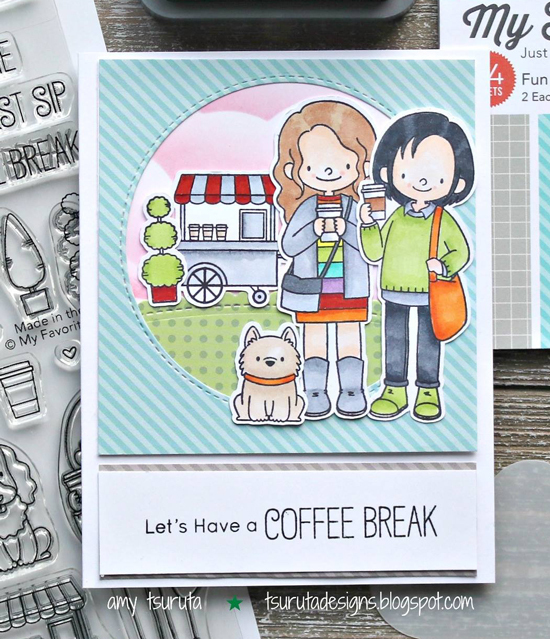 Celebrate friendship with the Friends at First Sip stamp set! Amy included multiple images from this collection on her colorful card. We love how she created a focal element with a circle window that perfectly highlights the coffee cart in the background. 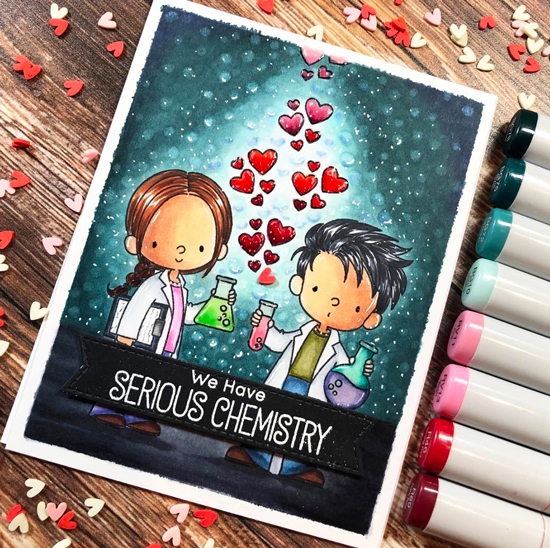 Antonia created a gorgeous background on her card that nicely complements the Cute Chemists images she featured on her design. A fun mix of inking techniques gives the appearance of bubbles, perfectly coordinating with the science theme. 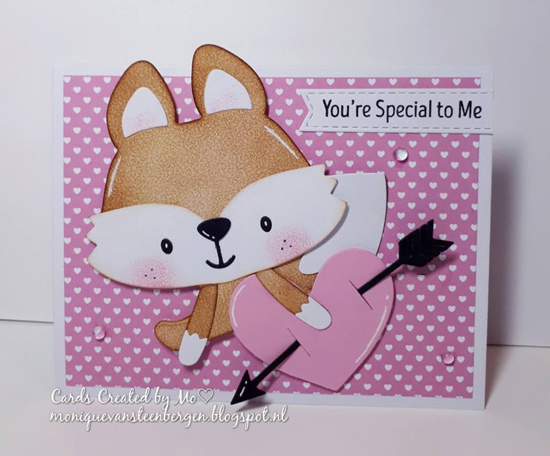 Monique featured the new Friendly Fox Die-namics on her design and went with a love-theme by adding a heart and arrow with a pink and white color combination. The use of the Sweet Stack paper pad further reinforces her heartfelt card by adding a background of tiny hearts. 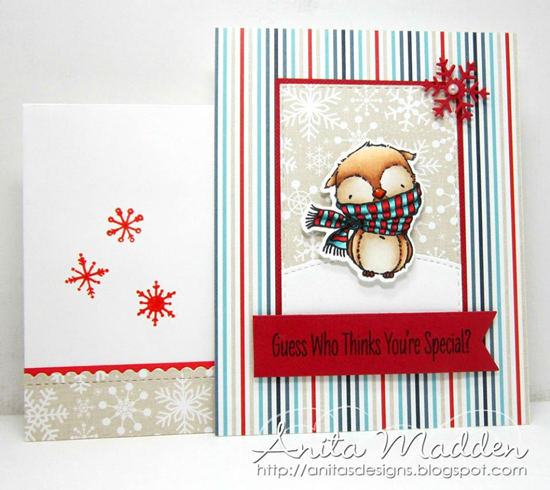 Even chilly, winter-themed cards can evoke a feeling of warmth in your heart and Anita's card is proof of that. Her Warm & Feathered friend is the focal image on her card with a tone-on-tone snowy background directly behind him. The striped patterned paper adds a cohesive look to her design, bringing the whole scene together. 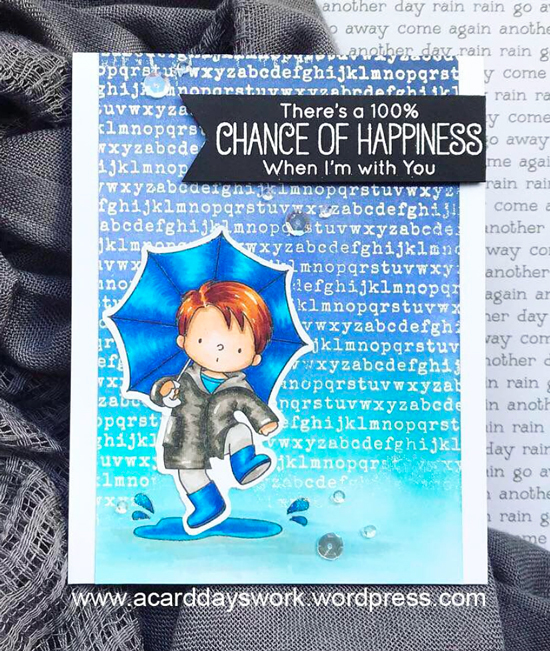 Jess created an adorable rainy scene featuring the Puddle Jumper stamp set. The monochromatic color palette of blues and grey mimic the look of water, and we love how she faded out her heat embossed background near the bottom to give him a space to jump in! 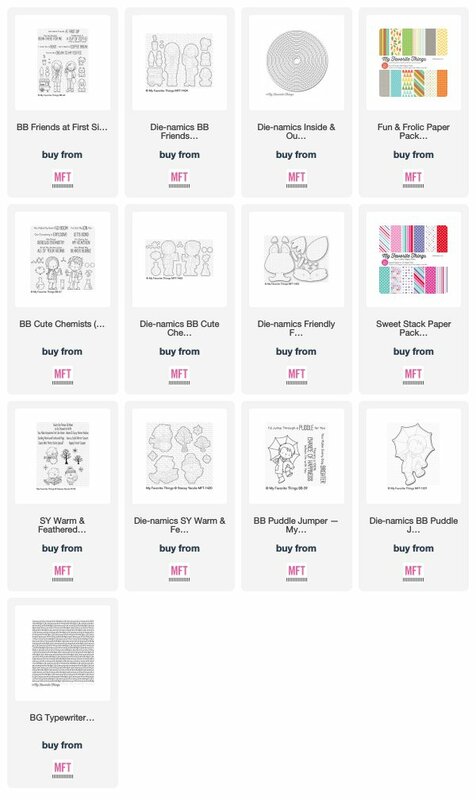 Love when you do these posts of other card makers' fabulous work. Awesome job! I'm honored to be a part of this gorgeous gallery of goodness...thank you so much for the shout out! Congrats Amy and everyone that was listed all the cards are fabulous!!! I'm so happy you liked my card. Thank you!